Measures 22 in. x 18 in. x 62 in., each Square Playtop cage comes with a stand that has been designed with 4 rolling casters to make you easier to move the cage from room to room. Other accessories would be a removable tray for easy cleaning, 2 feeder cups provide easy access for your birds to their food and water, and 2 wooden perches as mentioned above. 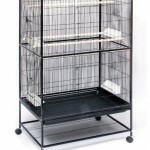 We recommend this cage for small sized birds, since it will provide spacious and roomy place for your avian friends. The birds will love it, especially when they get to hang out at the open top. 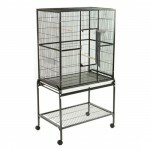 Please keep the cage clean to make it stay attractive, especially if you plan to place it inside the house. Square Playtop cage arrives in parts, you need to assemble the product to make it ready to use. Unfortunately we’ve been told that this product doesn’t come with an instruction, if you don’t have any previous experience in assembling a cage, you might have a problem. We suggest you to ask about the manual guide from the merchant you buy the product from. However, if you’ve done this before, we believe you can assemble this bird cage under 15 minutes. 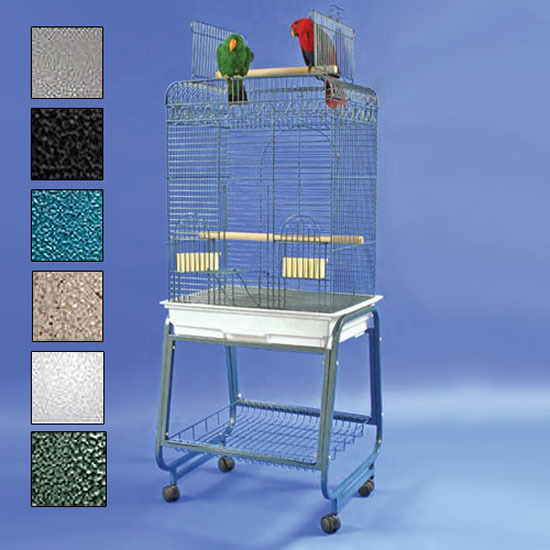 Again, we need to remind you to only place small to medium sized birds, this way, they will still be able to stretch their wings properly in this Square Playtop cage.